H4 Work Authorization, Work Permit or H4 EAD and H4 Visa Issues: Horray - First H4 EAD approvals are coming already! Horray - First H4 EAD approvals are coming already! From the emails we are getting, it seems that the first H4 EAD approvals are coming. Until we see the cards, we do not want to confirm, but it seems from the USCIS website that the approvals are coming - Horray! 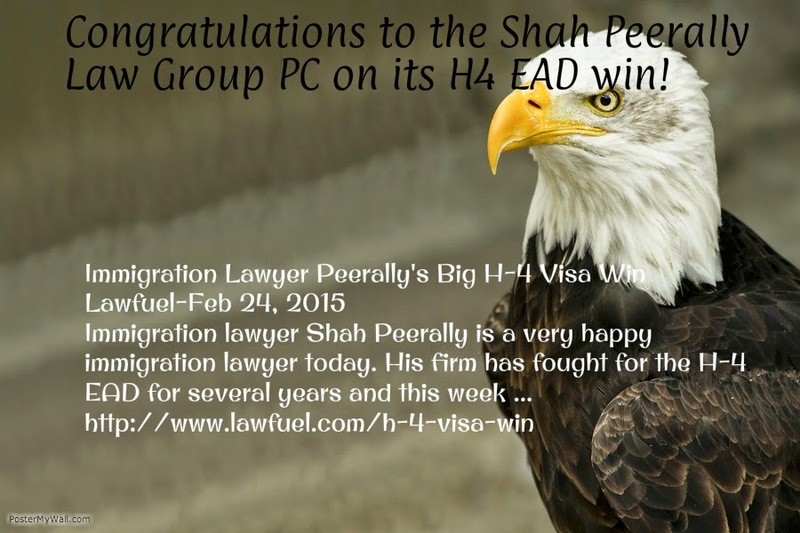 H4 Visa holders with EAD - your cards are the first in history. Seems the processing time is not that bad as we thought. On June 19, 2015, we approved your Form I765, APPLICATION FOR EMPLOYMENT AUTHORIZATION, Receipt Number WACxxxxxxxxxxx. We will mail your approval notice. Please follow the instructions in the notice. If you move, go to www.uscis.gov/addresschange to give us your new mailing address.